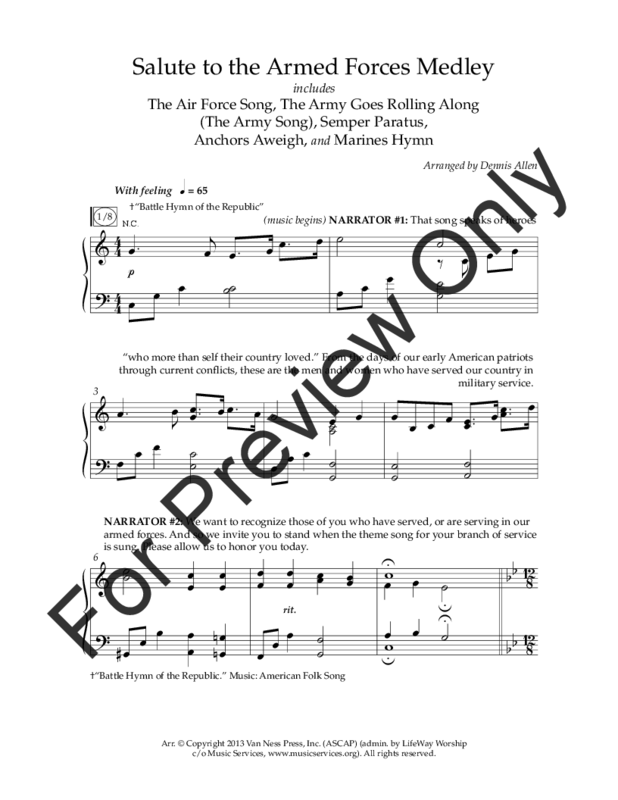 This anthem pays tribute to all five branches of the military and includes Battle Hymn of the Republic; The Air Force Song; The Army Goes Rolling Along (The Army Song); Semper Paratus; Anchors Aweigh and the Marines' Hymn. 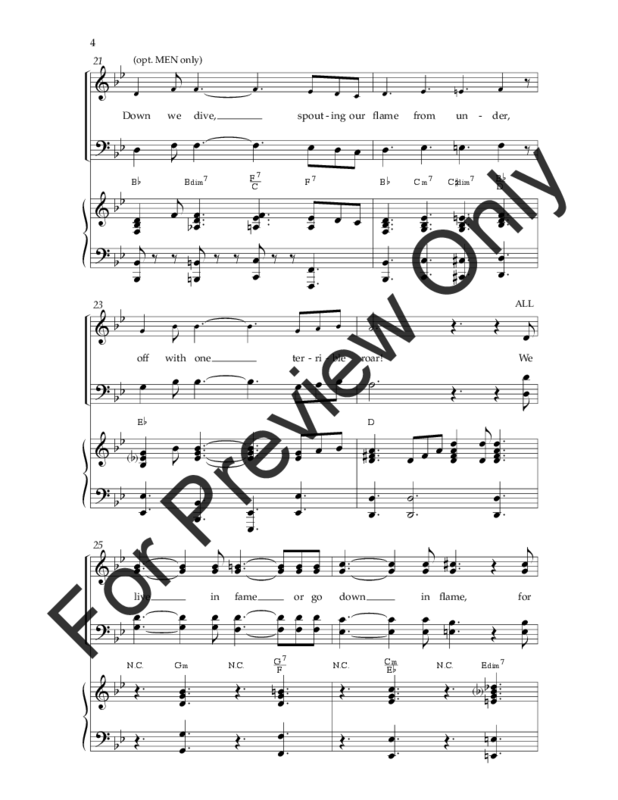 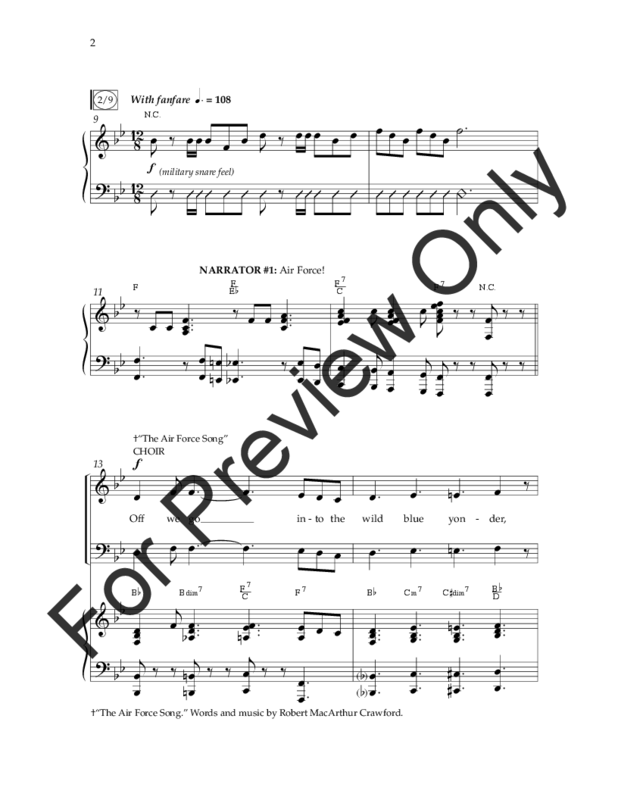 This arrangement has numerous unison sections and is easily achievable by most choirs. 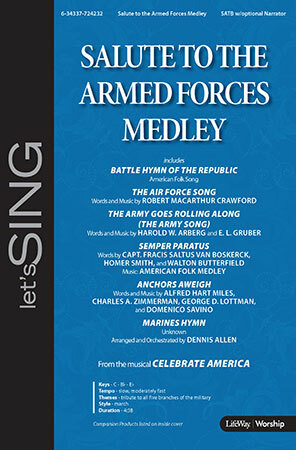 A great way to honor those who have done so much for our country. Include this great arrangement when your concert or worship service needs a patriotic flair!